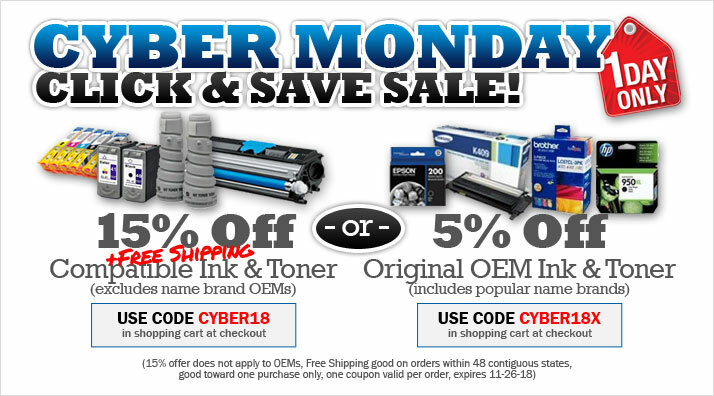 Save on genuine name brand ink and toner this Cyber Monday. Shop Ink4Less.com today and save 5% on genuine OEM printer ink and toner cartridges. Plus, all orders over $49 ship for free. Some restrictions apply. Free Shipping good in 48 contiguous states, good towards one purchase only, cannot be combined with any other offer. US only, age 18+ Offer available Monday, November 26th 2018. Expires Monday, November 26th 2018.